To me, this illustrates one helluva lot about Steve’s character. Of course Steve had needs. He was no dummy; he knew it! But he was even more concerned about “the next guy.” Whoever that next guy was. So it was with alla that in mind that we concocted FOOG, TOO! or “Friends Of Ol’ Gerber,” too. 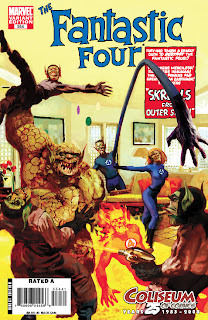 (Your miraculous Interweb will tell you all you wanna know about the original FOOG if ya wanna look it up.) We were gonna create several Gerber-centric products under the FOOG, TOO! banner that would help fund Hero (and thereby, also help Steve out financially in his convalescence). The first outta the gate was scheduled to be this super-cool Frank Cho Howard-and-Beverly print seen here. Working with our pals at Marvel, we got some new Frank Cho/Jason Keith art, and got these suckers printed up. Frank and Steve were slated to sign ’em, and ¡voila! Instant fundraiser product. So here’s irony, coincidence, “the universe knows something” or whatever. Steve passed away in the evening of Feb. 10. These arrived in Las Vegas for Steve’s signature the morning of Feb. 11. More on FOOG, TOO later. UPDATE: Auction is running, cats and kids! 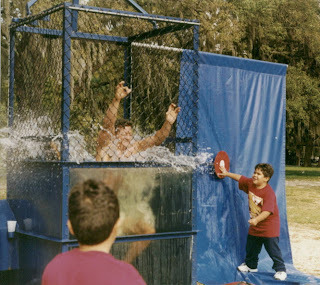 Check out the blog entry from 08 FEB. Our first vict…er…"volunteer" for the soon-to-be-famous Orlando MegaCon dunk tank is none other than Marvel Editor in Chief Joe Quesada. Pissed at "One More Day"? Torqued off about how "dead is dead" has been liberally interpreted as "dead is as dead as we feel like?" Well, now 's your chance to exact sweet and soggy revenge. I had occasion to be in Vegas last Saturday, 02 FEB, and spent the day hanging out with Steve. We spoke rather extensively about politics (what else?) and the Beatles. It was a good day. Steve is making solid progress, and we all hope like hell he’ll be outta the hospital soon. 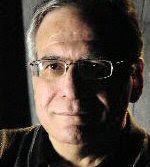 UPDATE: Steve Gerber passed away Feb. 10, 2008. Godspeed, Steve, and rest in peace. The kind folks at Marvel Comics have donated to Hero the script and eight penciled pages to the final book Mike Wieringo was working on when Mike passed away. Working hand-in-hand with Marvel, Hero has recruited a dozen all-star artists to each do a page or two and finish the book. The result will be a 48-page ’Ringo extravaganza hitting in June. MUCH more info to come. 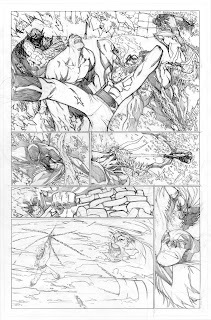 In the meantime, here’s a page from the book by Humberto Ramos. 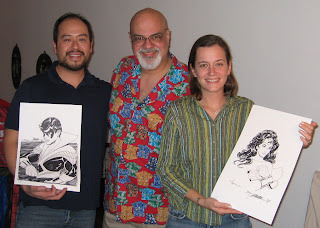 For those of you who may have wondered what it's like to have George Pérez in your living room…wonder no longer. David Chang recounts how they do it, O.C.-style.